U.S. President Donald Trump overhauls his National Security Council, dropping chief strategist Steven Bannon, according to a White House official. A new memorandum about the composition of the NSC was published in the Federal Register on Wednesday. The memo no longer lists the chief strategist as a member of the principals committee, a group of high-ranking officials who convene to discuss pressing national security priorities. Vice-President Mike Pence said Bannon would continue to play an important role in policy and played down the shake-up as routine. "This is just a natural evolution to ensure the National Security Council is organized in a way that best serves the president in resolving and making those difficult decisions," Pence said on Fox News. ranking aides, was taken by Rick Perry, who as energy secretary is charged with overseeing the U.S. nuclear weapons arsenal. Trump's overhaul of the NSC also elevated Gen. Joseph Dunford, chairman of the joint chiefs of staff and Dan Coats, the director of national intelligence who heads all 17 U.S. intelligence agencies. A White House official told Reuters that the change moves the NSC "back to its core function of what it's supposed to do." It also appears to mark a victory by national security adviser H.R. McMaster, who had told some national security experts he felt he was in a battle to the death with Bannon and others on the White House staff. Trump's White House team has grappled with infighting and intrigue. In recent days, several other senior U.S. foreign policy and national security officials have said the mechanisms for shaping the Trump administration's response to pressing challenges such as Syria, North Korea and Iran were still not in place. Critics of Bannon's role on the NSC said it gave too much weight in decision-making to someone who lacked foreign policy expertise. Before joining the Trump administration, Bannon headed Breitbart News, a right-wing website. The White House official said Bannon was no longer needed on the NSC after the departure of Trump's first national security adviser, Michael Flynn. Flynn was forced to resign on Feb. 13 over his contacts with Russia's ambassador to the United States, Sergei Kislyak, prior to Trump's taking office on Jan. 20. 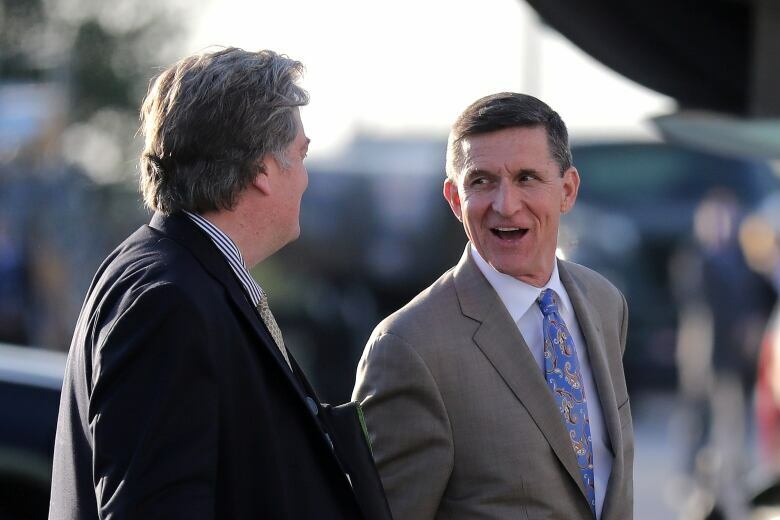 The official said Bannon had been placed on the NSC originally as a check on Flynn and had only ever attended one of the NSC's regular meetings. The official dismissed questions about a power struggle between Bannon and McMaster, saying they shared the same world view. However, two current national security officials rejected the White House explanation, noting that two months have passed since Flynn's departure. McMaster, they said, speaking on the condition of anonymity, also has duelled with Bannon and others over direct access to Trump; the future of deputy national security adviser K.T. McFarland, a former Fox News commentator; intelligence director Ezra Cohen-Watnick, a Flynn appointee; and other staffing decisions. By law, the president, vice-president, secretary of state, defence secretary — and, since 2007, the energy secretary — are members. Also by law, the chairman of the Joint Chiefs of Staff and the national intelligence director are advisers to the council. 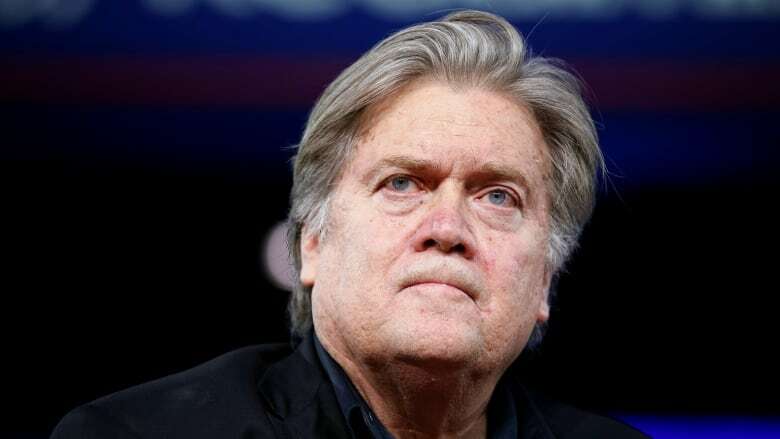 Adam Schiff, the senior Democrat on the House intelligence committee, called Bannon's departure from the NSC "a positive step by Gen. McMaster to gain control over a body that was being politicized by Bannon's involvement." #PresidentBannon: Is Steve Bannon calling the shots in Donald Trump's White House?